Private Jet Charter® (PJC), one of the world's largest independent private jet charter brokers, has revealed that Nice was the most popular destination for Gulf private jets (PJ) users in the first half of 2015, with a total of 328 trips, followed by London with 290 trips and Paris with 260 trips. The company, which has a sizable market share in Europe and the Middle East, said that the Gulf business aviation industry remained relatively upbeat, as summer period triggered high demand from Gulf businessmen and tourists. The company said that movement was particular hectic before and after Ramadan. 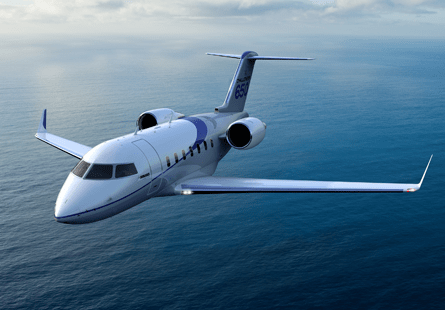 According to Market Forecast 2014- 2033 report published by the Bombardier Business Aircraft, the world's largest manufacturer of planes and trains, the region's fleet of business jets could grow from current 395 to 745 by 2023 and 1,405 by 2033. "This forecast is in line with estimates of industry experts, as with the growth of the industry, there is a strong need for more private jets," says Ross Kelly, managing director for Middle East, Private Jet Charter®. As the business report notes, Saudi Arabia, UAE and Turkey took delivery of the largest number of business jet in the Middle East, accounting for more than 70 percent of the industry's overall fleet in the region. Saudi Arabia alone took a lion's share 26 percent. "To get away from hot summer in the Middle East, Gulf based private jet users this summer picked Nice, London and Paris as preferred destinations," added Kelly. "The trend also shows that in Europe travelers' favorite destinations were Ibiza, Marbella and Pisa for long weekend breaks." Private Jet Charter® said that Middle East private jet users have begun to understand the value of hiring a private jet, in terms of less time spent at the airport, and better reliability. The company added that even families from the GCC region who wish to make several stops in Europe, for example, can book a flight that would cost them almost the same as business class tickets for the whole family. have returned empty to the base or to another global location," added Kelly. "We always strive to maintain the highest standards in private jet industry. Our world-class approach assures luxury, convenience and safety; we are delighted to say that now we are adding cost-effectiveness to our strengths through 'empty leg' flights," concluded Kelly.